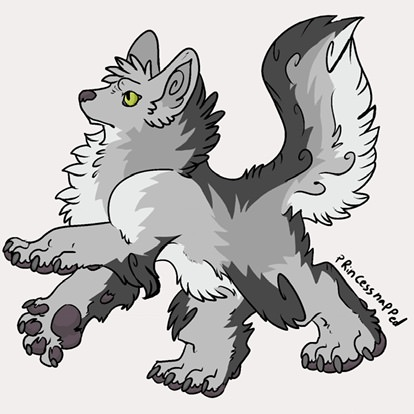 Novilar - (Contest) The Wolf with No Color! (Contest) The Wolf with No Color! One day while exploring in the mountains, you come across a wolf with absolutely no color anywhere on its pelt! It's pure white! The wolf sees your colorful attire and becomes excited. You, however, aren't quite sure what's got it in a tizzy. Wolf herself appears, padding up next to you, then explains, "This young one loves colors of all shades and hues, but is fated not to have any grace its pelt." She spies your bag of art supplies, with a conveniently placed paintbrush sticking out. "Unless you're willing to help...? I'd reward you, of course." Wolf smiles at you, knowing humans don't like to turn down a challenge. Your task is to color the wolf in whatever way your artistic heart sees fit! Click here to view the full-size image! It is MS Paint friendly! 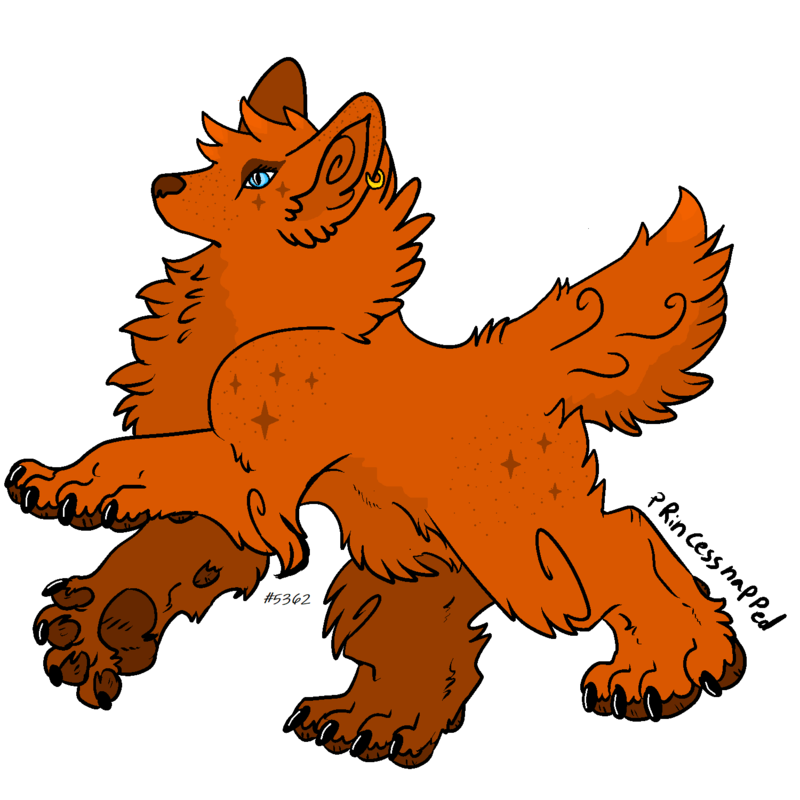 After coloring your wolf, upload it to an image-hosting site like Imgur or photobucket. Comment here with a link to your entry! Your explanation for the wolf's color scheme/inspiration is welcomed! Deadline: Dec. 7th, 2018 is the last day entries will be accepted! If you have a question, please comment here or ping Petraea! Remove the artist's signature. Visit more of Princessnapped's work here! A Mystic Wolf Totem, 5 crystals, and 20,000 gold will be awarded to the judge's choice! A Wolf Totem and a Bag of Gold will be awarded to every other entry! And this here is my entry! The colours are earthy and proud, just how I see this wonderful wolf! Here is my entry! 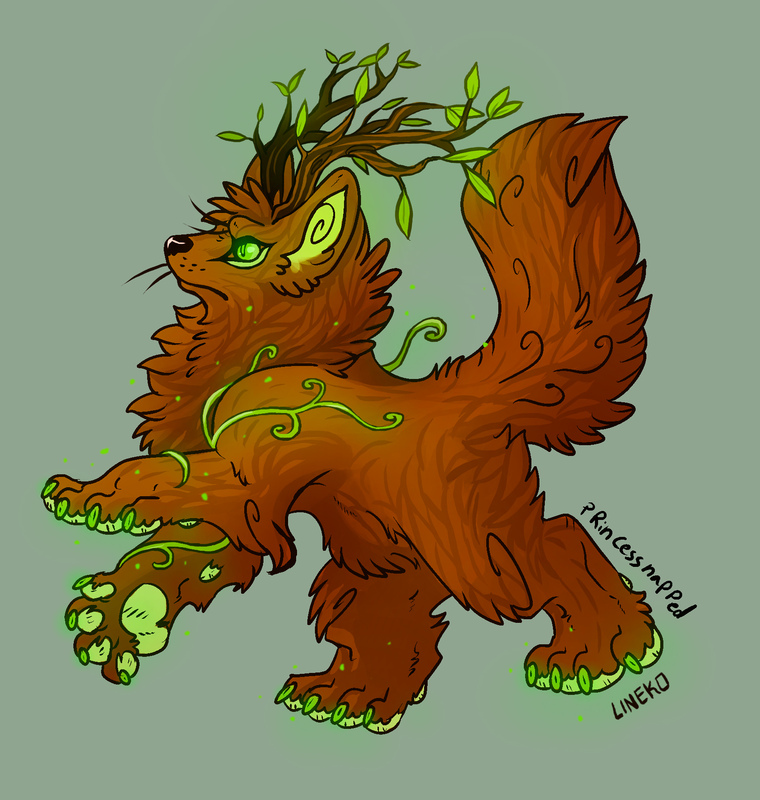 What if the wolf got her colors by absorbing energy from a magical place? In this case, a place of nature magic, giving her a druidic appearence! Here's what I came up with using my super rusty MS paint skills! here's my entry. no particular reason why I went with this design. Wow-ee! I am so sorry about the late announcement, all! @Lineko(#2685) is our judge's choice winner and @Ethylene(#4435) is our random entry winner! Thanks for everyone who participated! It was fun to see what you all came up with! Your prizes will be sent by an admin shortly! Oh wow thank you! This was a fun little contest; I enjoyed it! You must be logged in to reply! Login or Register now!